Who is Atlanta Mayor Keisha Lance Bottoms? Keisha Lance Bottoms is the 60th mayor of Atlanta. Outgoing Atlanta Mayor Kasim Reed endorsed her to succeed him as the city’s next mayor. Mayor Keisha Lance Bottoms, 48, declared victory in the December runoff election for mayor against fellow Atlanta City Councilwoman Mary Norwood. Bottoms was elected to Atlanta City Council in 2009 and re-elected in 2013, representing District 11, which covers a large portion of southwest Atlanta. Outgoing Atlanta Mayor Kasim Reed endorsed her to succeed him as the city’s next mayor. She was executive director of Atlanta Fulton County Recreation Authority, which has maintained public facilities including Philips Arena, Zoo Atlanta and the Olympic cauldron, from 2015 until she stepped down in April. In that role, Bottoms helped broker the $30 million sale of Turner Field and surrounding parking lots to Georgia State University and private development group Carter. Her AFCRA appointment in 2015 sparked controversy among some officials who said holding both positions could pose “conflicts of interest” due to the business relationships between the city and authority. Bottoms regularly recused herself from city council votes on issues relating to AFCRA. Bottoms served as vice chair of the Public Safety Committee and chair of the council’s zoning committee, according to her campaign website. She touts one of her City Council accomplishments as helping pass tougher crackdowns on aggressive panhandlers. The 2012 ordinance required jail time for repeat offenders. “This is not a heartless piece of legislation,” Bottoms said at the time. She said judges would be able to make assistance available for people who need social services. Bottoms is an attorney and former magistrate judge. She has a Bachelor’s in communications from Florida A&M University and a law degree from Georgia State University. 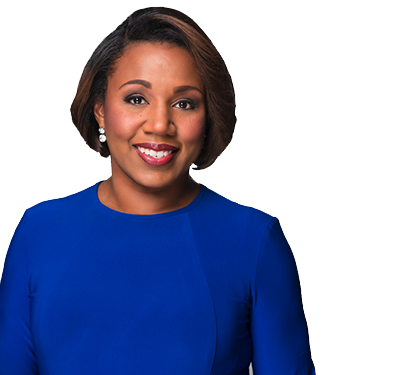 According to her official bio, she is a member of the State Bar of Georgia, the Atlanta Chapter of Jack and Jill of America, the Dogwood City Chapter of The Links, Inc. and the Atlanta Alumnae Chapter of Delta Sigma Theta Sorority, Inc.
READ | Who is Derek Bottoms, husband of Atlanta Mayor Keisha Lance Bottoms? Bottoms is the daughter of Sylvia Robinson and the late R&B singer Major Lance known for his song "Um, Um, Um, Um, Um, Um." In campaign speeches and her YouTube bio-flick, Bottoms tells the story of how her grandparents came to Atlanta in a horse and buggy. She also doesn’t shy away from talking about her parents’ challenges. Major Lance was a boxer-turned-dancer-turned singer who opened for the Beatles on their first U.S. tour in 1964. But his career eventually dried up, and the bank took their Collier Heights house. “I learned very early on that good people sometimes make bad decisions,” she says in the video. In 1978, her father was charged with cocaine distribution, and she spent three years of weekends visiting her father in prisons across Georgia. “When I was eight, I came home from school to find dozens of officers in our home, leading my father — a well-known entertainer — away in handcuffs. He went away to prison, and for many years, I watched my mother struggle to make ends meet. Her father died in 1994 at age 55. Elton John reportedly attended his funeral. She often talks about her children in her government capacity. In 2015 she and others chastised a city public-safety board for erecting billboards advising “don’t run” from cops, prompting the board to suspend what it deemed a common-sense advertising campaign. “One of the things I will always teach my children is that they have the right to run. It may be ill advised but the issue is not with them exercising their rights but the response to them exercising their rights,” she said in a meeting. In a recent campaign radio ad, she took on opponent Mary Norwood over her hesitant response on the existence of racial profiling. “My husband and I repeatedly have the painful conversation with our teenage son about being stopped by police. It’s a life-or-death conversation too many parents have to have. Mary (Norwood) can’t change something that she doesn’t even know exists,” Bottoms said. Derek Bottoms is an attorney and executive vice president for Home Depot. Andrew Young, the former U.N. ambassador and mayor, recently said the most influential man in Bottoms’ life is her husband. Young defended the Bottoms’ ownership of a $1.1 million second home on Martha’s Vineyard. He pointed out that Keisha and Derek Bottoms are both lawyers who earned their degrees from Georgia State University law school. Keisha and Derek Bottoms are “good, solid Christian people,” he said. Former mayor Kasim Reed is known for taking reporters and columnists to task on Twitter when he disagrees with their work or how he’s portrayed, sometimes blocking them entirely. In Decemeber 2017, Bottoms had about 13,100 followers to Reed’s 414,000. She’d tweeted about 1,525 times — or 6,240 times less than Reed. Based on her Dec. 5 election day habits, Bottoms seemed to equally prefer Instagram and Twitter as her main communication vehicles. She posted about a dozen times on Facebook, but sent more than 60 messages on her Instagram and Twitter accounts (retweets included). Her first tweet of the day was posted at 3:15 a.m.
It’s too early to tell what Bottoms’s online style will be as mayor, but so far her social media accounts are more relaxed. Followers will find the kind of personal and inspirational messages that could easily blend in with posts from good friends.